As most are familiar, the Book of Mormon contains a promise, commonly called “Moroni’s Promise,” which asserts that by praying to God, and asking him if the book is true, God will provide a response via the Holy Ghost (see Moroni 10:3-5). Some who are critical of the church refuse to try this method. They argue that it is circular reasoning, that “feelings” are not a sufficient way to learn truth, etc. 1. If it is “proven” true by evidence, then what about Moroni 10:3-5? 2. How can you conclude something is false without testing it? Allow me to explain these in greater detail. First, if it is “proven” true by evidence, then what about Moroni 10:3-5? Let’s just imagine for a moment that you are a skeptic, but will accept the Book of Mormon’s truth claims if there is confirming evidence to your satisfaction. Of course, like all skeptics, you have your ways of explaining and dismissing all of the various things which faithful apologists and scholars consider as “evidence.” But, suddenly a new discovery is made. Some non-LDS archeologists discovered that the name of a specific Mesoamerican city was “Zerehemla.” (Remember, we are speaking hypothetically). Now this, to you, seems like a remarkable confirming evidence, so you conclude that the Book of Mormon is true. Just for good measure, let’s just say some additional Book of Mormon cities are also discovered, such as Bountiful, Jershon, and Manti. Now four Book of Mormon cities have been discovered, “It must true,” you tell yourself, and thus get baptized, etc. Here is the problem, if the Book of Mormon is true (and you have now concluded that it is), then Moroni 10:3-5 is true. In other words, you can’t accept the veracity of the Book of Mormon without accepting “Moroni’s Promise.” So, then, how can you know the Book of Mormon is true if you have not tried that promise? You can’t simply decide that “Moroni’s Promise” is true because the Book of Mormon was “proved” true by evidence, nor can you actually try the promise, since you have already decided that the Book of Mormon is true, so the “results” are almost certainly going to result in confirmation bias. In other words, you cannot honestly say that if you pray to know the truth of the Book of Mormon, God will reveal it you, because you never experienced it; and (now this is going to be redundant, but I just want to make sure it is clear) if you don’t honestly know the Moroni 10:3-5 is true, then how can you say you know that the rest of the Book of Mormon is true? On the flip side, if “Moroni’s Promise” is false – that is, the truth of the Book of Mormon cannot or will not be revealed through prayer via the Holy Ghost – then so is the rest of the Book of Mormon. Thus, by refusing to test the Book of Mormon by Moroni 10:3-5, you have already decided that the Book of Mormon is false. This, of course, is circular reasoning – you are assuming the conclusion you are trying to prove. Now some might accept that by refusing to test Moroni 10:3-5, they are already concluding that the Book of Mormon is false. They are okay with that, because they know that the Book of Mormon is false anyway, so who cares, right? So then we have the second question, how can you conclude something is false without testing it? To follow-up, how do you test the Book of Mormon without doing Moroni 10:3-5? By archeology? Geography? DNA? All of the above? The problem here has already been noted: by refusing to use the testing method the book provides (because it is supposedly a deficient method), you are already assuming the book is false. Thus, by deciding out of hand that you won’t use Moroni 10:3-5 to test the Book of Mormon, you are deciding not to test the book at all. How, then, can you know if it is false (or true)? In order to know if something is true or false, you have to test it. In order to accurately test it, you have to be open to the possibility of it being either true or false. If you accept that it is possible for the Book of Mormon to be true, then you are accepting that it is possible that if a person prays and asks God if the book is true, God will respond by sending the Holy Ghost. Now, if that is possible, then why not try it? After all, what could be a better, more accurate way of testing something then asking an all-knowing being? We have a limited knowledge about ancient cultures, civilization, and human genetics – but God knows everything, if a man named Lehi brought his family from Jerusalem to the America’s around 600 BC, God can tell you. You see then, the dilemma. If you reject that possibility of receiving the truth through prayer, you are dismissing the Book of Mormon out-of-hand, without properly testing it. If you accept that revelation through prayer is a possible way to know the truth about the Book of Mormon, then you are consigned to follow such a method – and that is a situation few critics are willing to place themselves in. Those who refuse to test the Book of Mormon by Moroni 10:3-5, then, are simply not testing it at all. 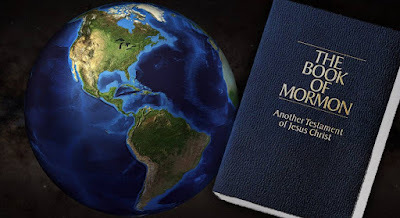 If they believe it is impossible to know if the Book of Mormon is true by “Moroni’s Promise,” then they believe it is impossible for the Book of Mormon to be true, period. Evidence may provide enforcement and verification for the spiritual confirmation, or help provide the “possibility” of its truth (thus allowing one to try Moroni 10:3-5), but one simply cannot know one way or the other without actually putting “Moroni’s Promise” to the test. "Personal revelation" and "whisperings of the spirit" are terrible ways to find truth. Thanks for commenting, and I am sorry to here that you were not able to find away to maintain faith. While I appreciate your thoughts on your blog, it does not present anything I had not already thought about before, and since your comments do not address the dilemma I discuss in this blog post, I won't bother trying to mount a response here. I will just say, in passing, that there is very little criticism you make there that could not also be turned right around on the secular methods of learning and testing truth; particularly the fact that many people come to different conclusions about what the "truth" is despite looking at the same evidence, using the same tools of reason and logic, and employing the same methods. "If it is “proven” true by evidence, then what about Moroni 10:3-5?" In your approach to answering this question I disagree with a few points. First, your statement that it is impossible to gather enough evidence to prove it either true or false and that almost any position can be maintained on rational, logical grounds. On the first note, I might agree if you define "prove" in an absolute sense; however, I would argue that it is quite possible to prove something beyond any reasonable doubt. For example, if I were to drop an apple from an apple tree, I would tell you the truth was that the apple would fall to the ground. I, of course, cannot tell you with 100% certainty that this will happen but due to a whole lifetime of experience and experiment I could tell you that this was indeed a truth, at least a truth beyond all reasonable doubt. Regarding the second proposal, I would make the phrase . . . maintained on rational, logical grounds when skewed by the bias of the concerned party. This is evident in your own argument which you later postured when you established a baseline according to your own bias or preconceived thoughts that if we were to prove that a portion of the text were true then we must concede that the entire thing is true as well. This leads me to another point which I find questionable. You deduced that if archeologists were to discover that various names of cities mentions in the Book of Mormon (BoM) were accurate then we have thus proven that the BoM is true and therefore the promise of Moroni must therefore be true as well. This whole argument is predicated on the assumption that the two are connected. This assumption is like saying that because I got the first question on a math test correct, I have consequently gotten every question on said test correct. Of course you could argue that the BoM is the word of God and as such, if one portion is accurate then of course the rest must follow suit. Let us forget the fact that once again the argument is predicated on something for which no evidence has been presented. Also, for arguments sake say that God did in fact dictate through men, called as prophets, the messages in the BoM. You are still left with the fact that they were after all men, and as such imperfect by nature. Going back to your example of the geography of the BoM. If indeed this were the case, and even going further to say that a mountain of evidence were to surface that these places did indeed exist and even with evidence of their geographic locations as given in the BoM, you have only shown that these places did indeed exist and that one aspect of the BoM was true (at least beyond any reasonable doubt). That being the case, there is no real argument to someone believing in the validity of that aspect of the BoM and disbelieving in Moroni's Promise. In regards to your argument of how someone can discredit a theory without testing it, I would agree. I would further argue that those who take such a position are burdened by a bias of their own. I would be interested, however, to hear your thoughts regarding those who have tested Moroni's promise yet find no validation.